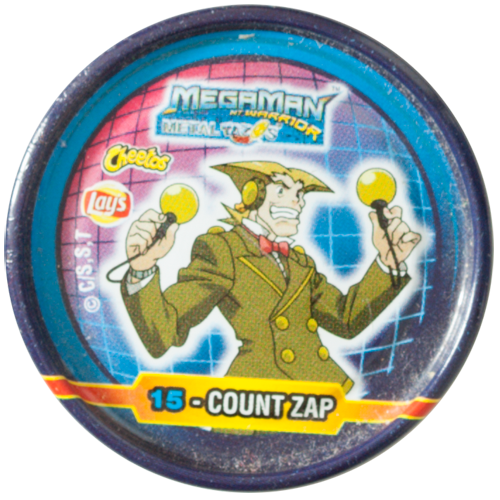 Info:These caps were probably given away in packets of crisps and Cheetos made by Frito Lay (Lays). 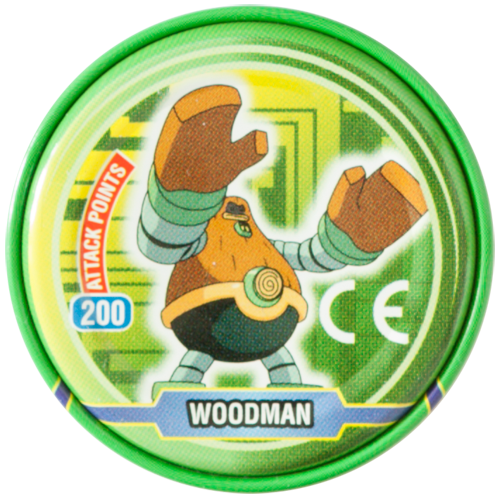 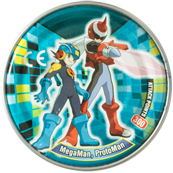 They feature various characters from the MegaMan NT Warrior anime. 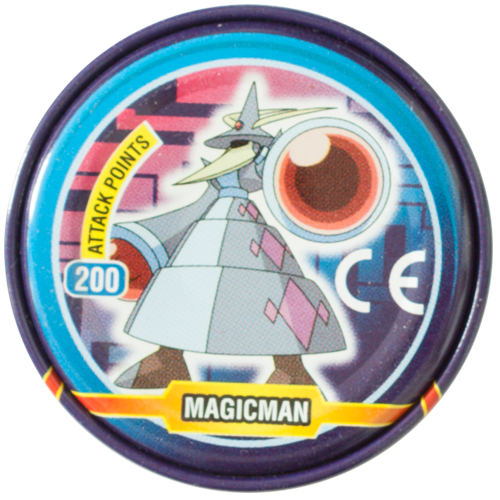 The caps are made from metal, with a raised lip on the edge of the cap. 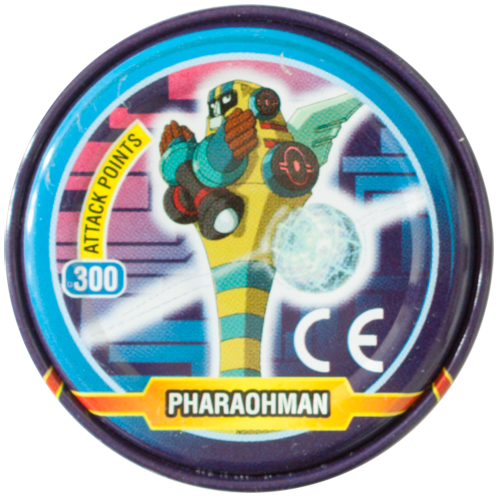 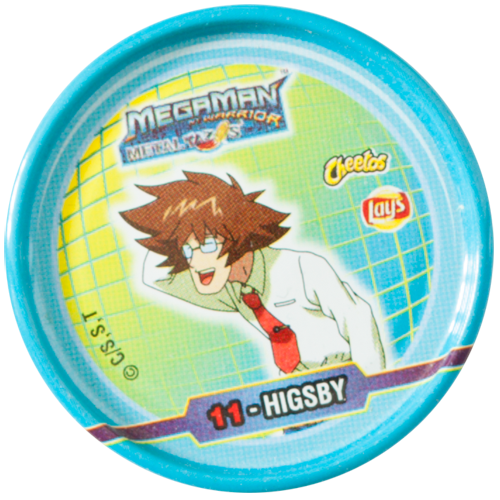 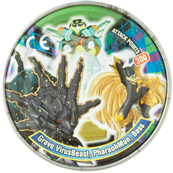 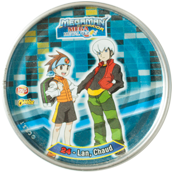 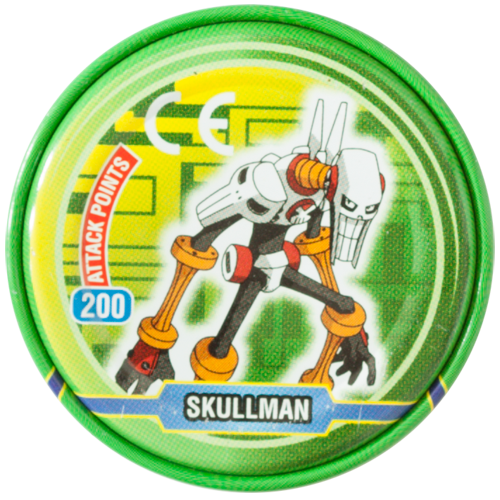 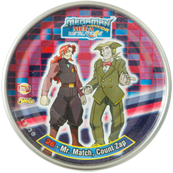 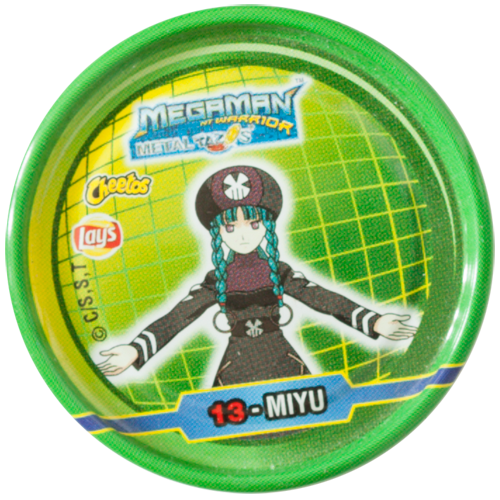 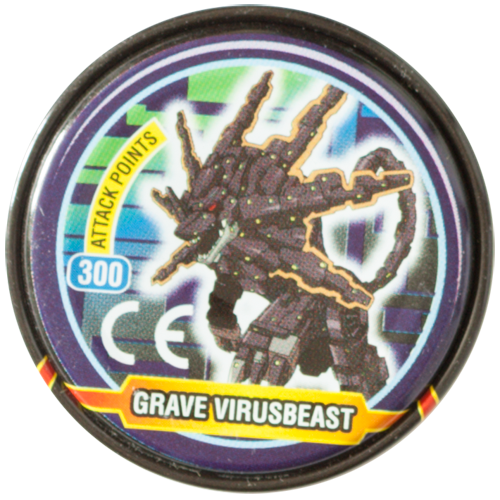 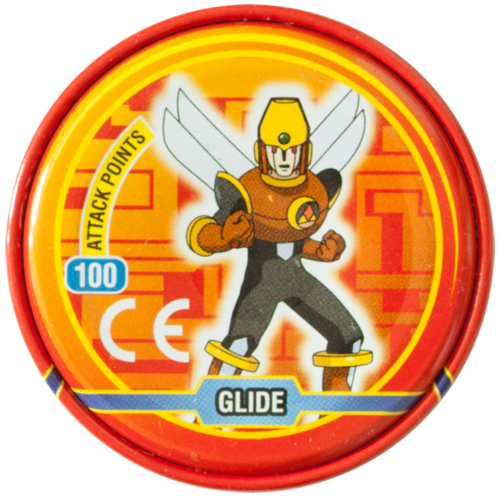 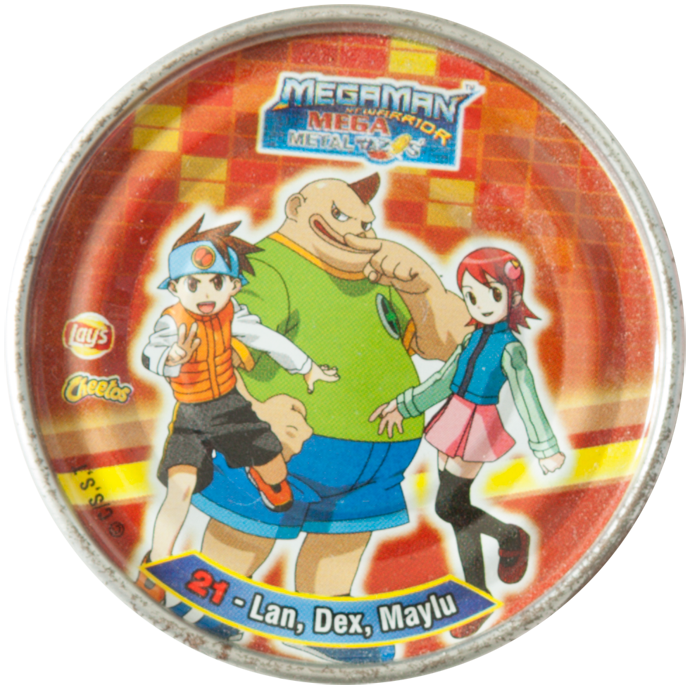 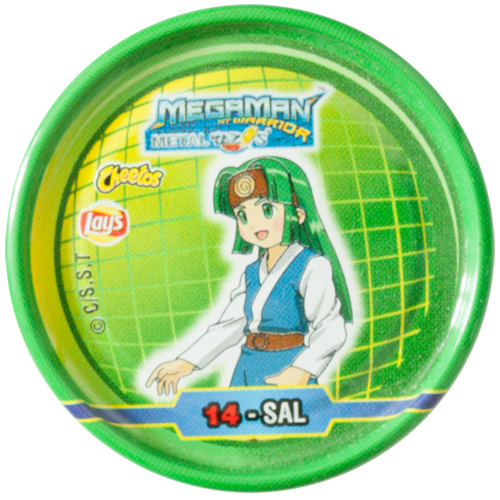 The cap design is the same as that used for the Yu-Gi-Oh Metal Tazos. 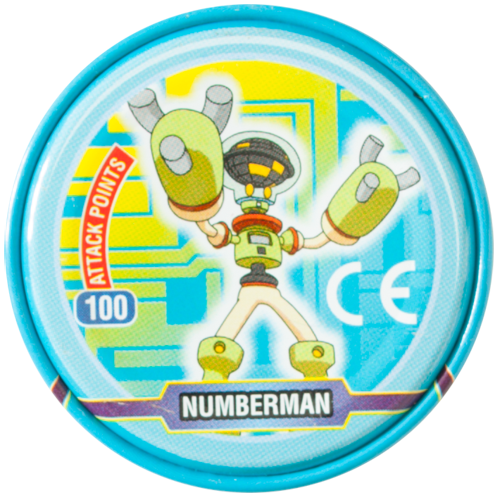 Numbers 1 - 20 are standard cap size, while numbers 21 - 28 are quite a bit larger. 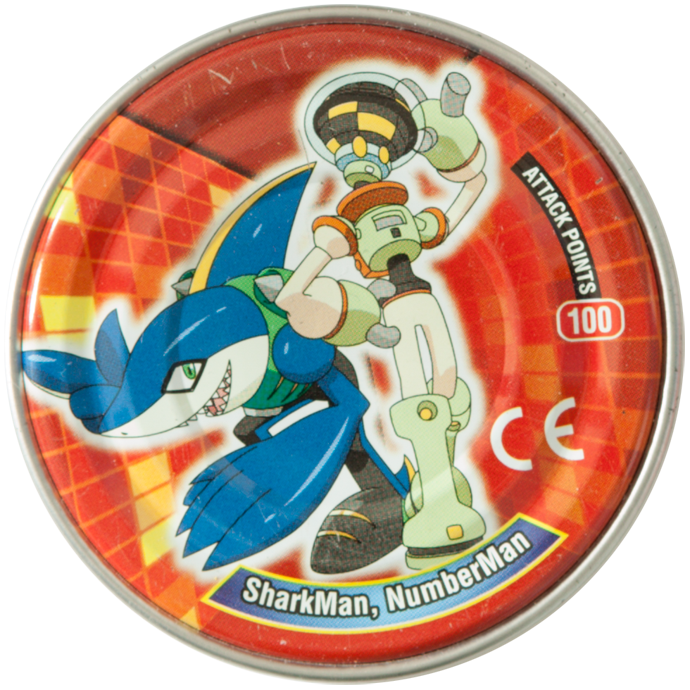 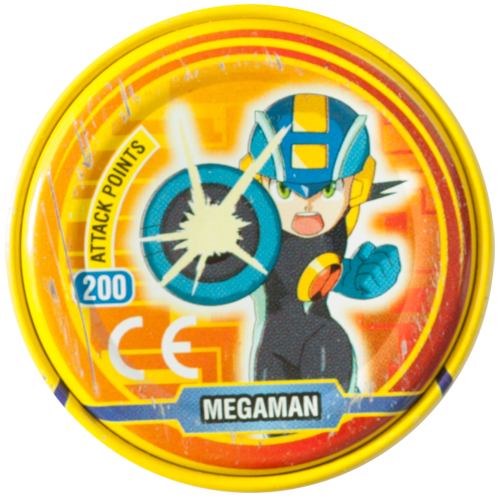 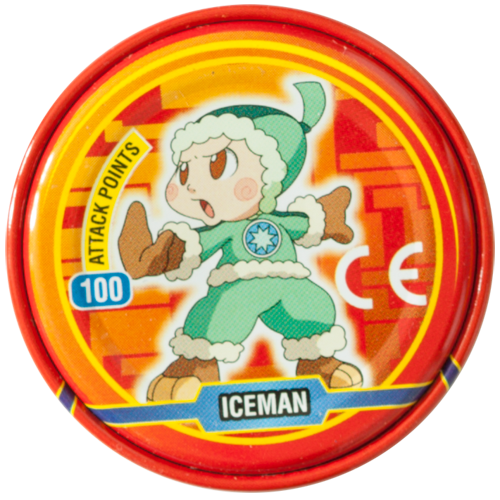 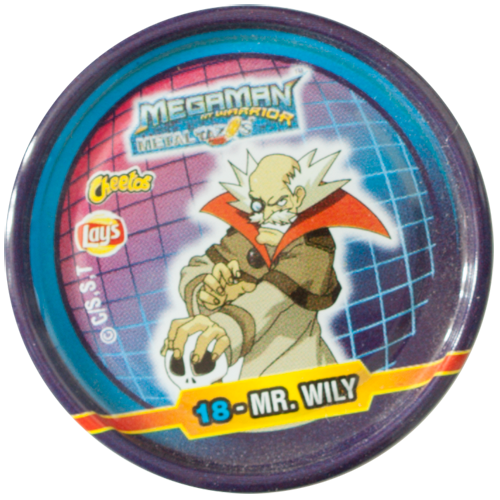 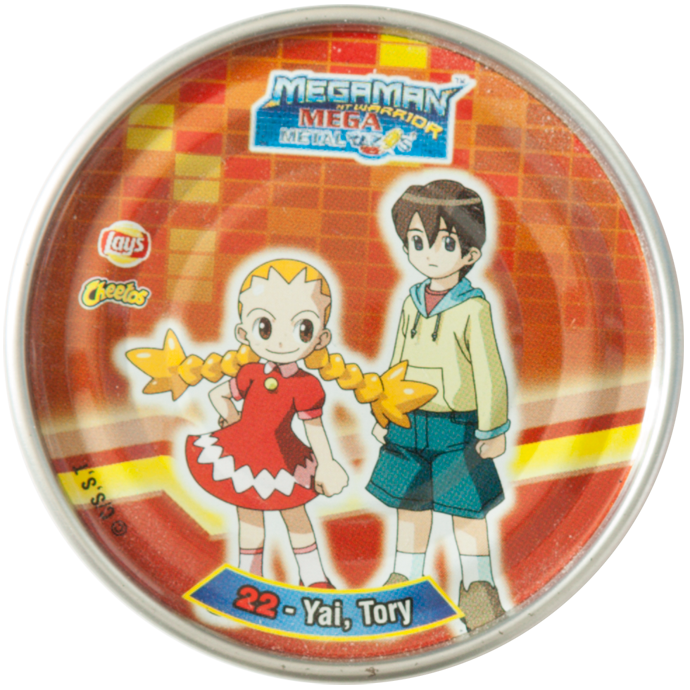 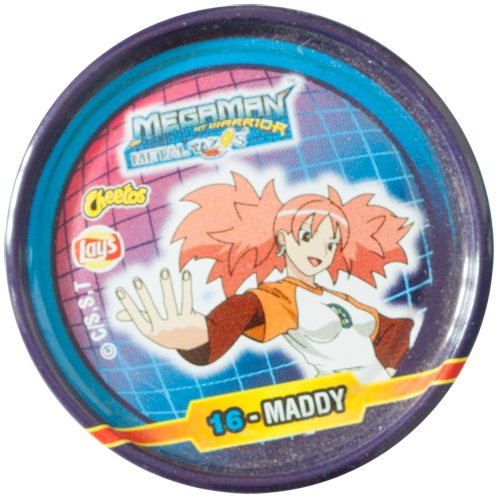 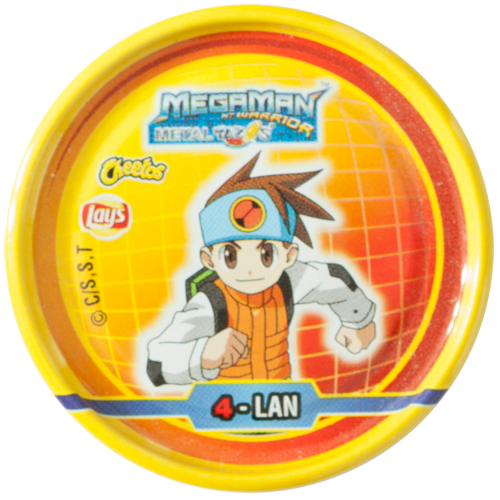 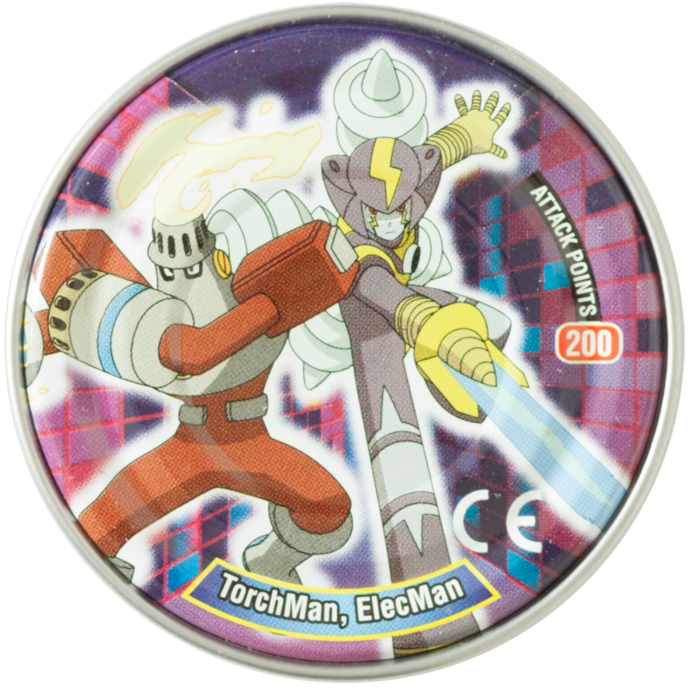 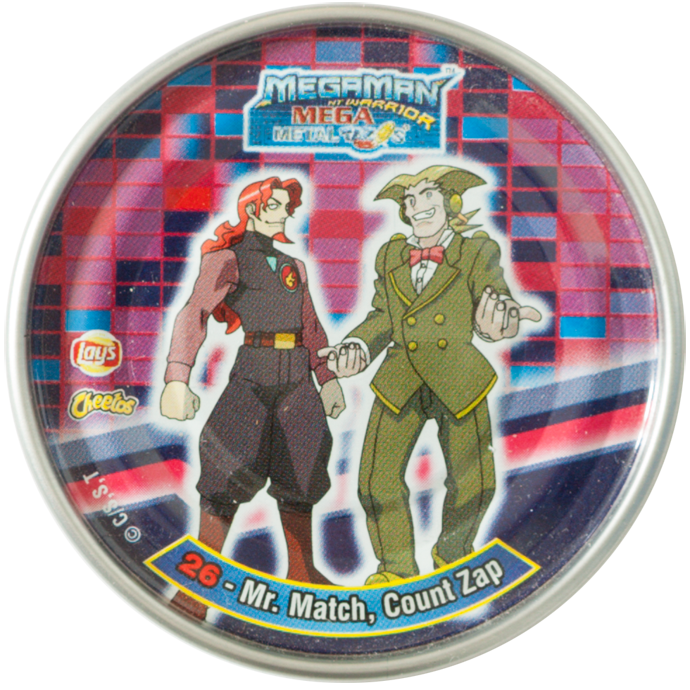 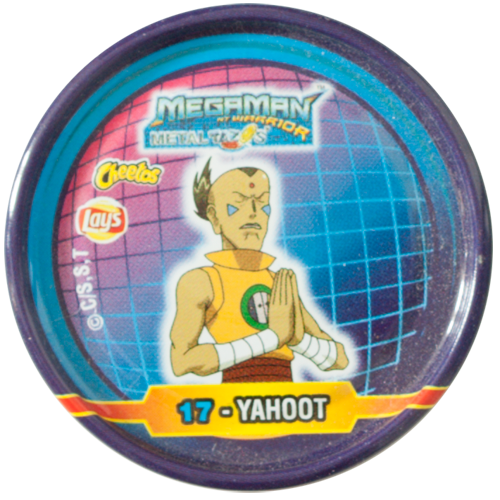 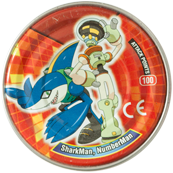 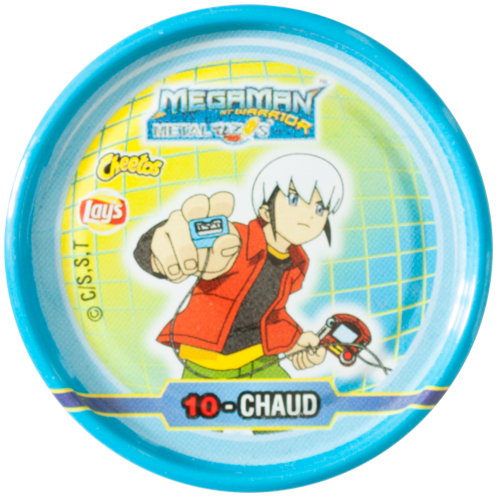 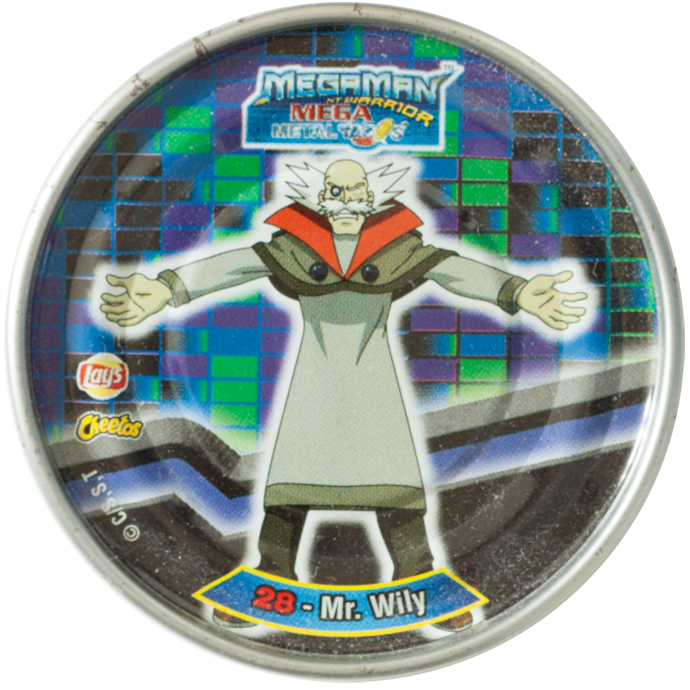 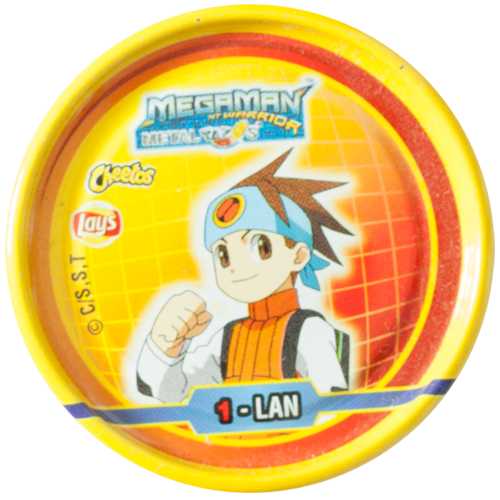 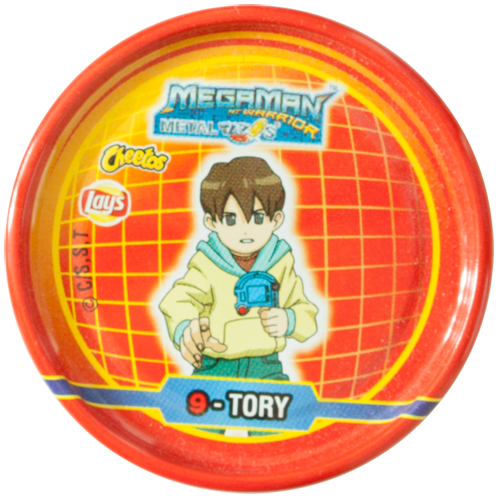 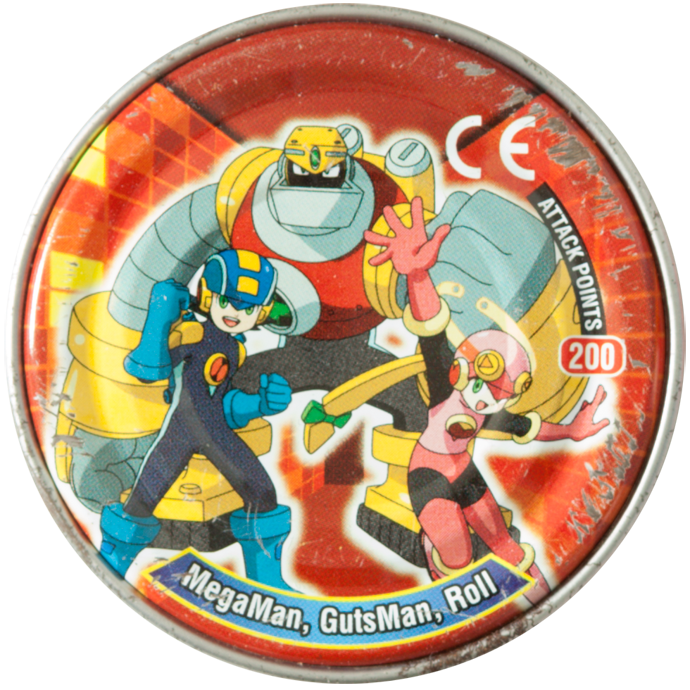 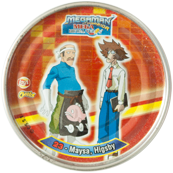 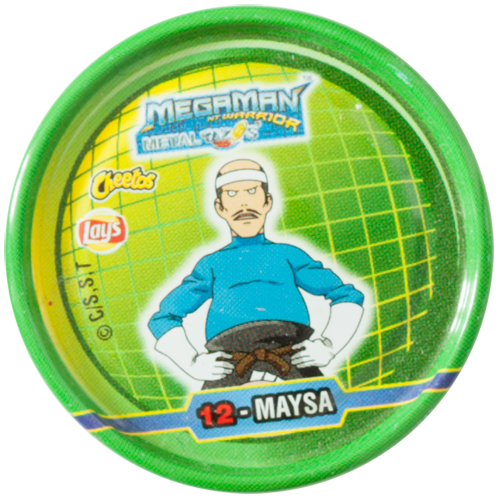 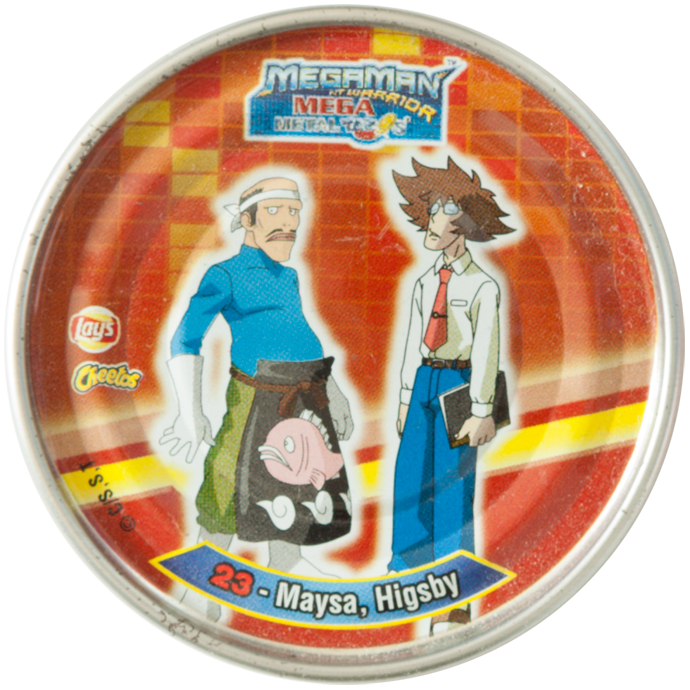 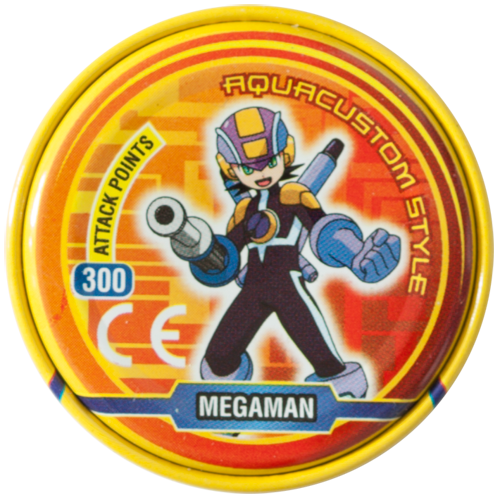 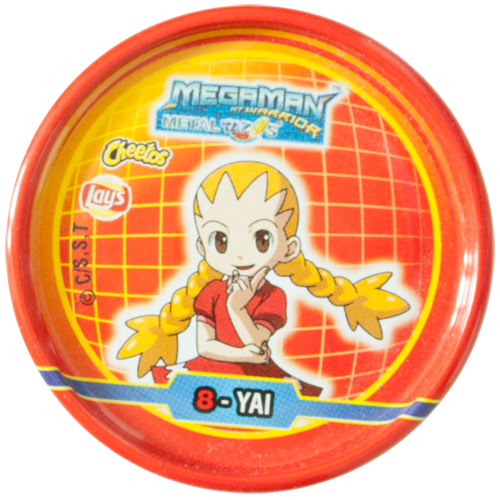 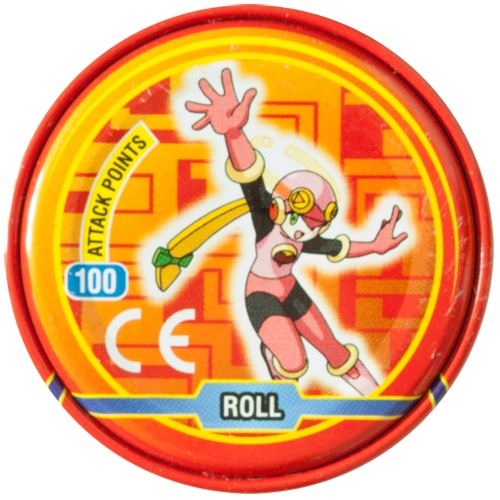 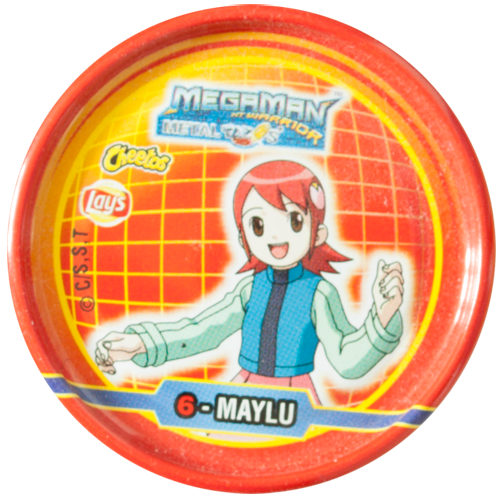 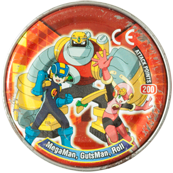 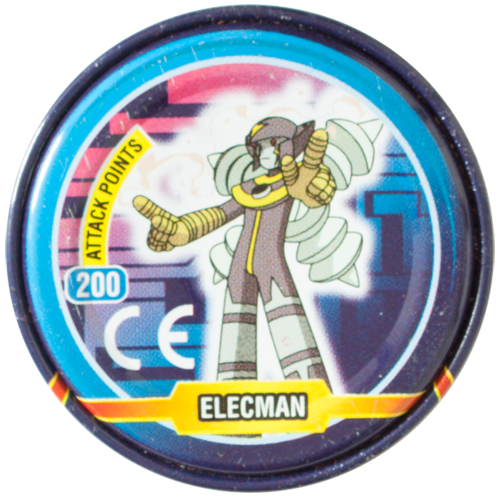 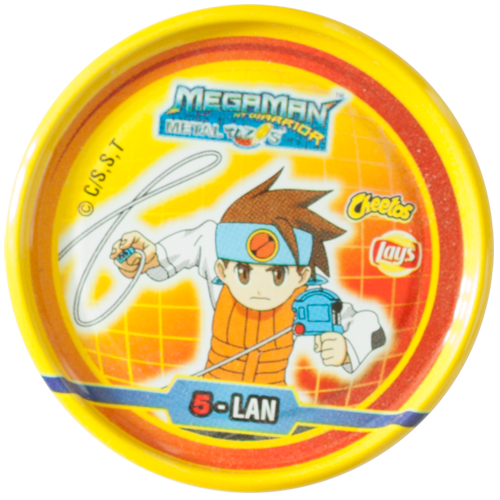 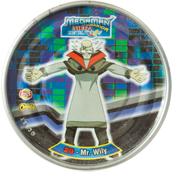 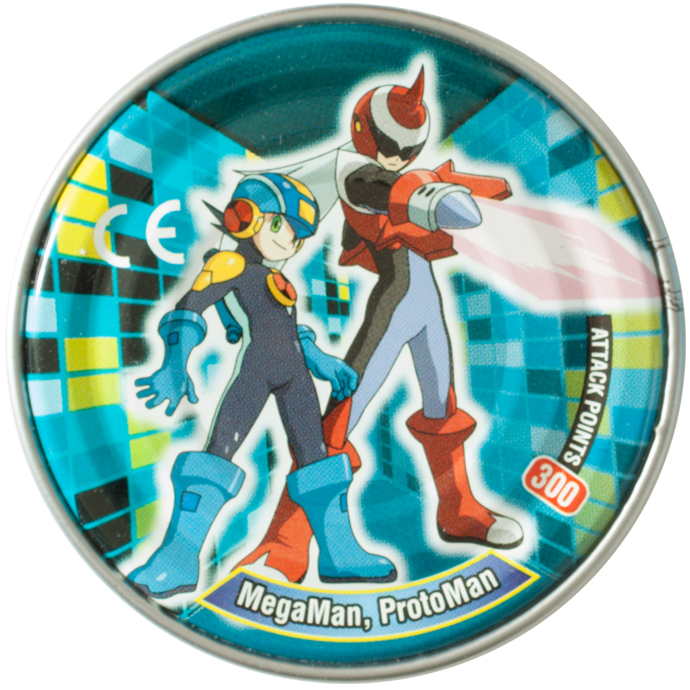 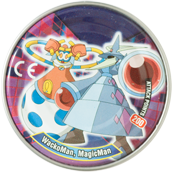 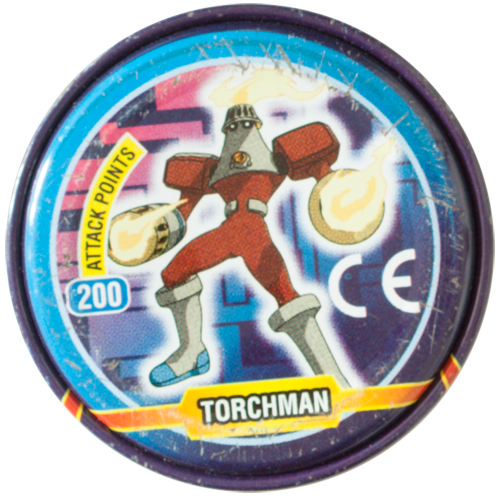 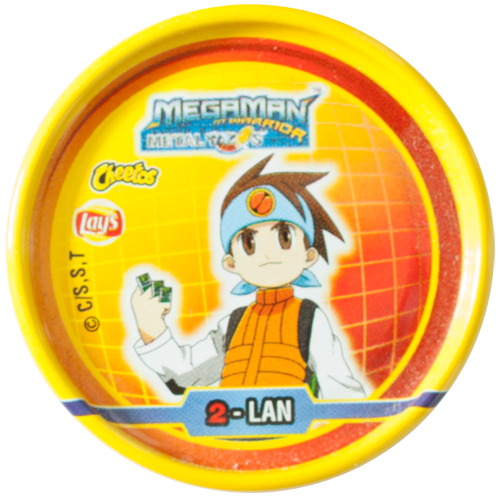 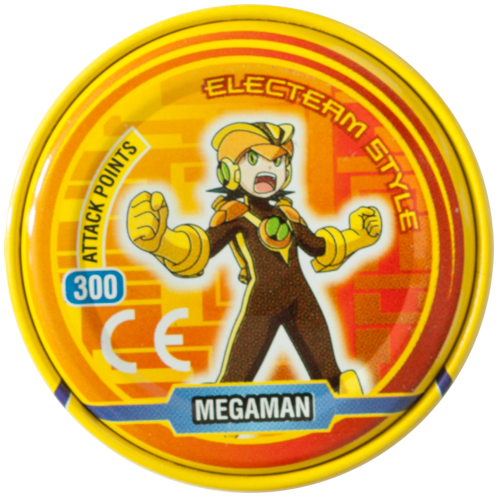 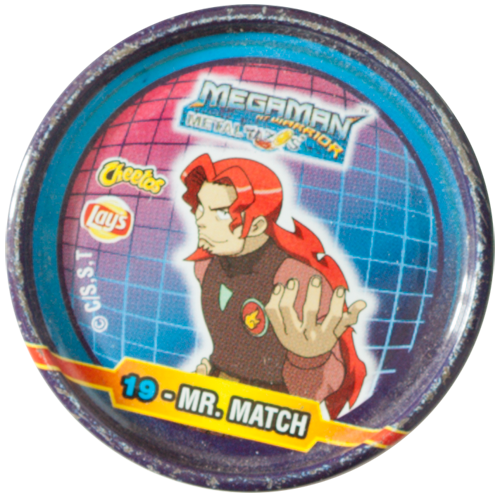 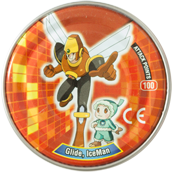 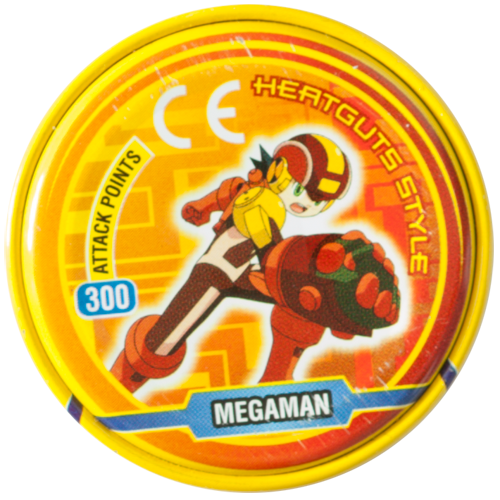 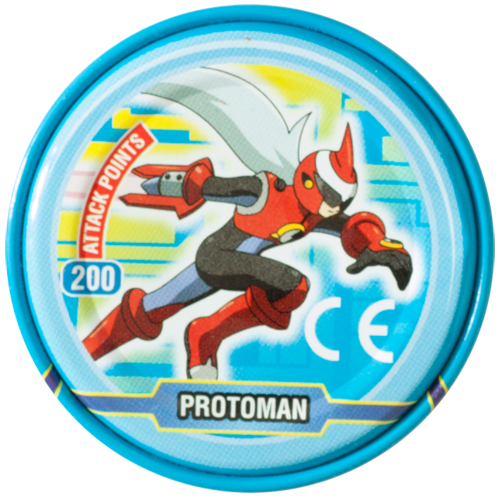 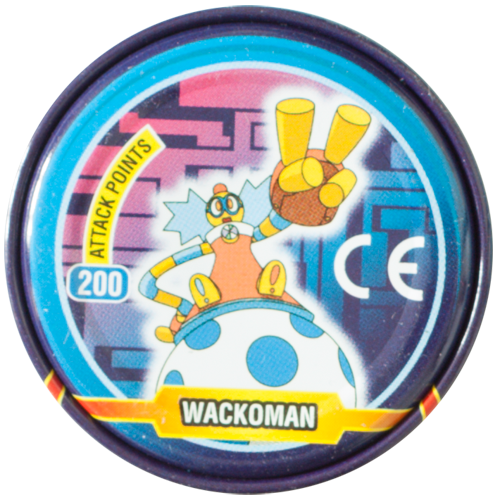 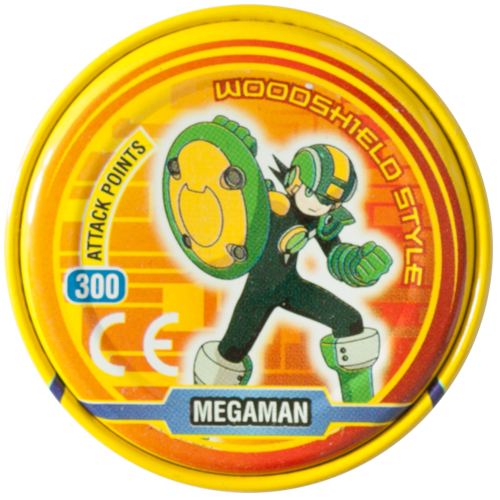 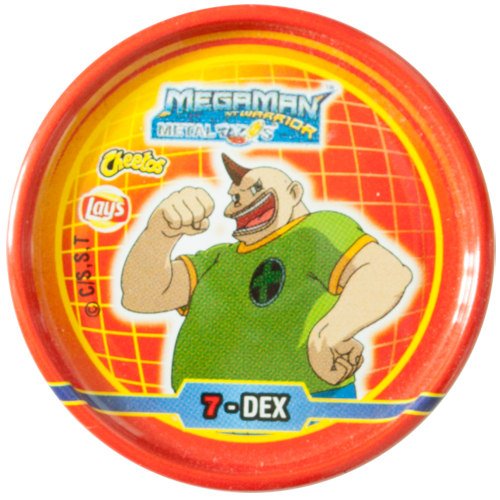 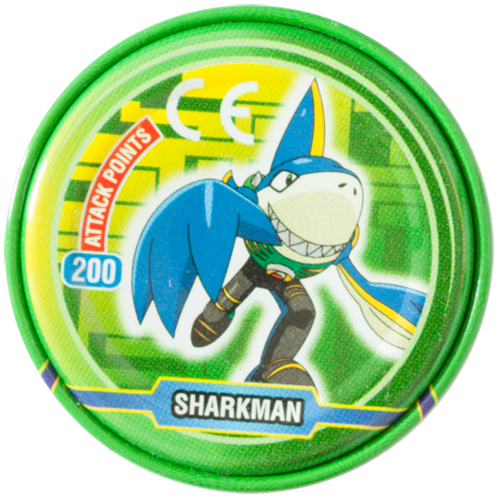 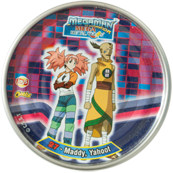 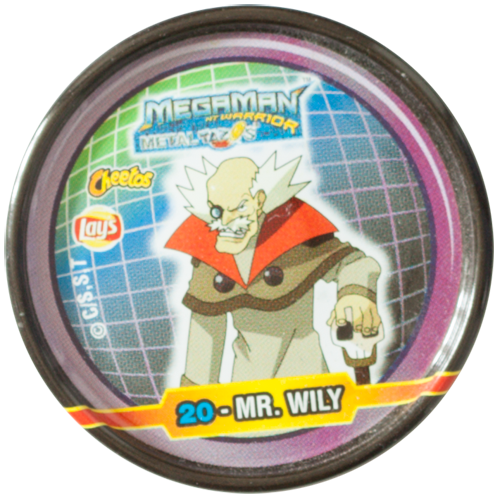 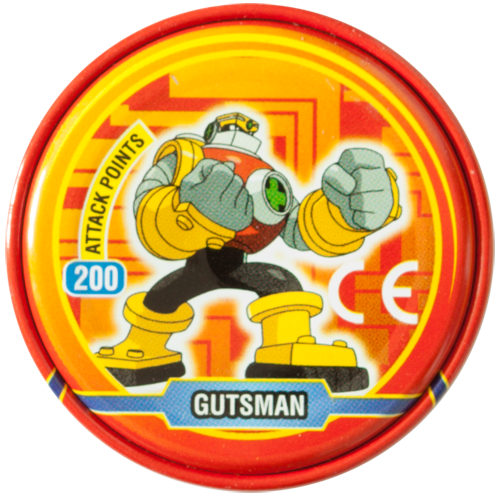 The metal tazos are made using quite different materials to the MegaMan NT Warrior Tazos that were produced for the Turkish market. 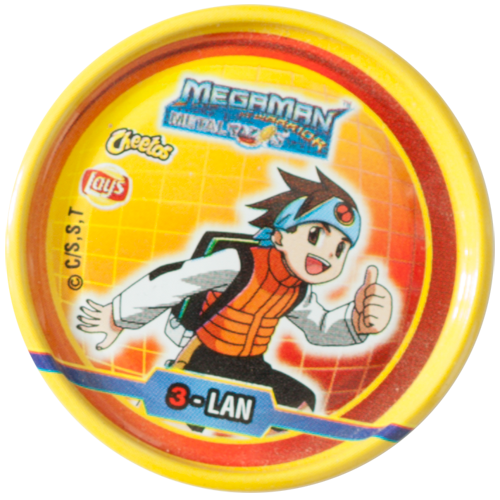 On the back of each Tazo it has a different image / character to the front, and gives a score for Attack Points.